Ponies! Last appearances of the year! So I'm busy working away on Fialkov and my ONI book, also I'm doing a bunch of My Little Pony Friendship is Magic stuff for IDW. 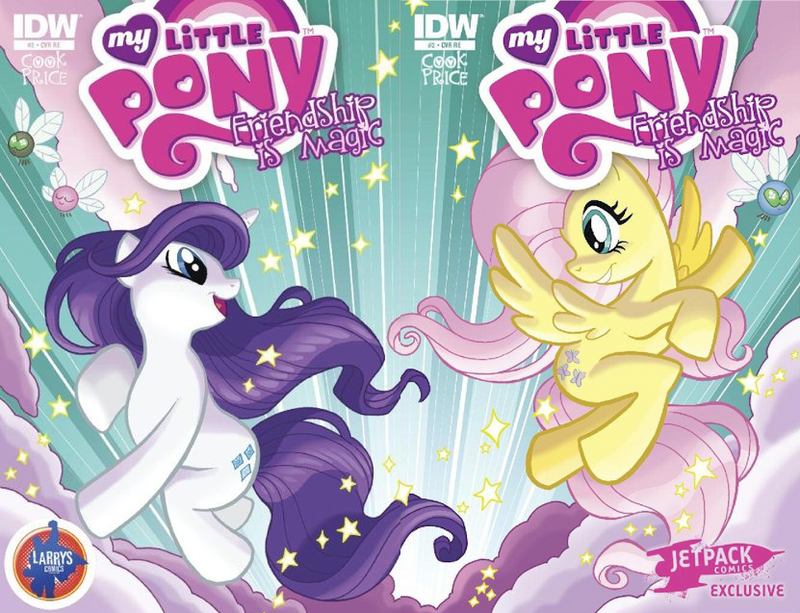 The first covers posted online today, they're super limited interconnecting retailer incentive covers for Larry's Comics and Jetpack comics. Here's a look at the covers and links to where you can buy them. Pony fans have already pointed out that I may have drawn the knees wrong. Sorry fellas, I'll get 'em right next time around. ALSO! Next weekend are the last two cons of the year for me. First up Saturday Dec. 17th, I.E. 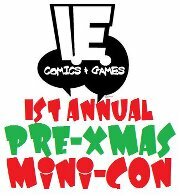 Comics' First Annual Pre-Xmas Mini-Con in Hemet, CA. Here's info on the con straight from IE comics & games. Join us Saturday November 17th at our new location for our first ever PRE-XMAS MINI-CON!!! This is one event you cannot miss folks! And even more to be announced!!! So keep watching the event page for more updates and mark your calendar for what will be the biggest signing in Hemet history!!! And Finally SO CAL COMIC CON! Me and the rest of the G.A.S. boys (minus Dos Santos who's living it up in Brazil this month.) will be on hand at Joel Elad's awesome one day show. Come join us at the 3rd annual So Cal Comic Con in Oceanside, California, at the QLN Conference Center. Sunday, November 18th, 10 am to 5 pm, with Special Guest of Honor Marc Silvestri. Dealers with all types of comic books will be present, from Golden Age to today's Spider-Man. Free gift bags for the 1st 100 people in line! Several raffles throughout the day, including a very special grand prize from the Silver Age of Marvel Comics! We have a great lineup of friendly artists and comic book creators eager to meet and interact with fans! Headlined by Guest of Honor Marc Silvestri, a true legend who worked at Marvel on hit titles like Uncanny X-Men and Wolverine, started Top Cow Productions and created hit titles like Witchblade, Darkness, and Cyberforce, and published cool comics like Wanted, Tomb Raider, Aphrodite IX, and more. In addition, we're excited to announce that Garage Art Studios is coming back, so artists Tone Rodriguez, Chris Moreno, Tony Fleecs, and Mark Dos Santos will be available for signing and sketching. San Diego favorites Joel Gomez and Richard Friend are returning, as well as power house inker Joe Weems. We're thrilled to announce the addition of Marat Mychaels, and more talent will be announced in the Spring and Summer. So there you go-- Ponies and the last shows of the year. If you're doing your Christmas shopping and think you might need some prints or artwork from me or the fellas, these shows are gonna be your best bets. So come on out, say hello and buy some stuff! Hope to see you all soon. And if I don't, have a great holiday season!